Who says only braces can straighten teeth? Or that braces are the best solution for every case of crooked, misaligned teeth? When the problem is poor dental development, Myobrace may bring the results you need. 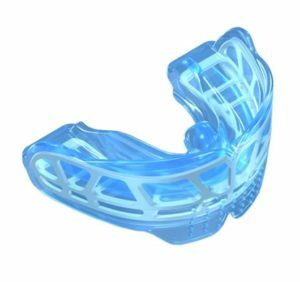 Myobrace is a comprehensive system that combines appliance therapy with myofunctional therapy, which teaches the muscles of the mouth and face how to work correctly. You just wear the appliance one to two hours a day and while you sleep and do the accompanying exercises daily as directed. Not only are the teeth gently moved into proper alignment; the mouth muscles are retrained so they function as they were meant to. Because of that, “orthodontic relapse” is much less likely. After all, we’ve addressed the cause of those crooked teeth in the first place. Contact us today to schedule an appointment and find out which treatment may best meet your or your child’s needs!